Computers. Big screen TVs. Air conditioners. The modern-day conveniences that many take for granted are starting to take a toll on our current energy grid. Demand has skyrocketed for the past few years and the grid is struggling to keep up. Blackouts and brownouts have started to occur with more and more frequency. That’s where the smart grid steps in. Smart grid technology is the new way of thinking. The concept has been around for years, but recently, smart grids have been touted as the environmentally friendly alternative when receiving your electricity. According to the U.S. Department of Energy, if the current grid were just 5% more efficient, then the energy we’d save would equal eliminating the fuel and greenhouse gas emissions of 53 million cars. With the federal stimulus package specifically setting aside funds for green technologies, smart grids have gotten a giant helping hand in the form of political support. Already, cities like Austin, Texas, and Boulder, Colorado, have begun testing out the benefits of smart grid technology. One aspect of smart grids is the automatic monitoring of systems. Instead of waiting for a customer call about a blackout, utility companies will be able to pinpoint and respond to problems faster. Smart grids also track energy consumption and mark periods of high and low usage. Companies will then charge variable rates on electricity consumption: more for higher demand periods and less when energy usage is at a low. Homeowners and businesses would have a “smart meter” to track when and how much energy they are using. Smart meters can also provide consumers with efficiency advice, real-time price information, and even coordinate household appliances so they automatically take advantage of non-peak hours, saving you money. Experts expect this to save energy, reduce costs, and increase reliability in service. 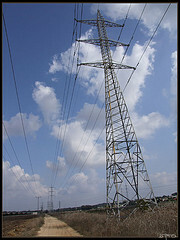 The smart grid is a two-way communication. Not only will it provide energy to consumers, but it will allow energy to be put back into the system. So the solar panels on your roof could be helping the neighbor down the street. This will allow greener energy producers, such as wind turbines, to be integrated into the system with greater ease. While the smart grid system reality is still years away, companies and higher institutions of learning have begun to do their part to speed up the process. Whirlpool announced that they plan to make all their electronically controlled appliances smart grid compatible by 2015, while working to create an open, global standard for appliances to transmit and receive signals by 2010. The Illinois Institute of Technology is partnering up with the Galvin Electricity Initiative to bring a smart grid—called Perfect Power—to power the campus. IIT will be working on the grid through 2013 and predicts that it will pay for itself in savings within five years. Even Google is jumping on the smart grid wagon. Currently in development, the Google PowerMeter will act as a liaison to smart meters, relaying users’ information about electricity consumption and what appliances are using it. Google employees have been testing out this new software, and Google hopes that they will be able to roll out the application to the public in the near future. 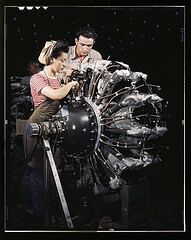 Read more about Electrical Engineering and Smart Grid Technology; visit www.GraduatingEngineer.com. Dallas-based Affiliated Computer Services, Inc. announced that it will be expanding its operation to Colorado Springs, adding 600 employees. The move will more than double its Colorado staff and is projected to make an estimated $100 million impact over five years. 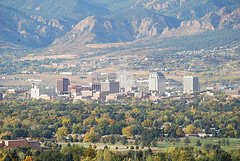 Image of Colorado Springs by cpt.spock. Search for engineering jobs at www.GraduatingEngineer.com.